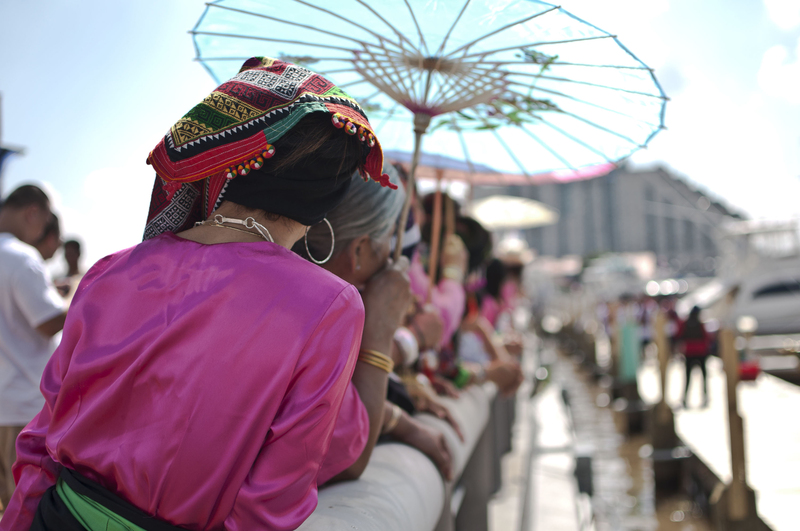 Racers in Dragon Boat Festival bring Southeast Asian culture to Penn’s Landing. PECO ended its summer-long multicultural series Sept. 10 by hosting the Southeast Asian Dragon Boat Festival at Penn’s Landing. 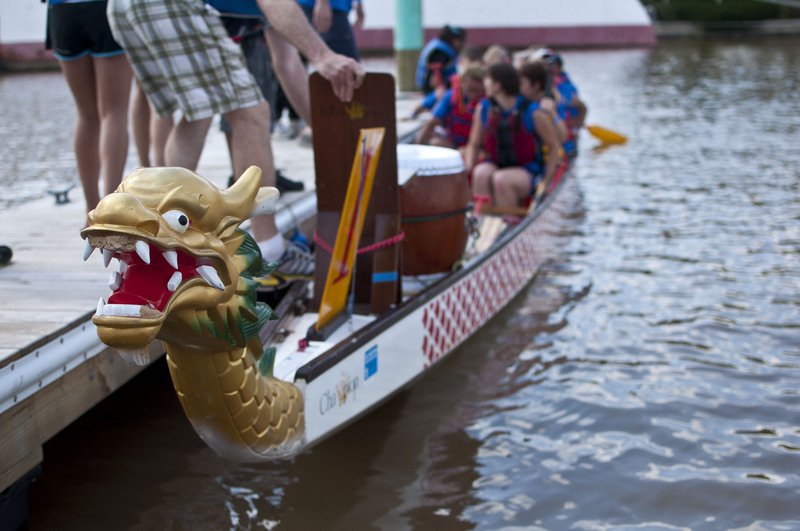 The Southeast Asia Dragon Boat committee paid homage to the traditional water festival by holding the first dragon boat race on the Delaware River. “Since we celebrate a festival overseas each year, we wanted to spread awareness about our culture in America,” SEADB committee member Sitha Puth said. Puth said that for more than 10 years, there has been a dragon boat festival in Lowell, Mass., which attracts people from all over the East Coast. They chose Philadelphia to host a new festival because it has “a better venue,” and is a closer proximity for most visitors. JACOB COLON TTN A dragon boat team prepares to race at the Dragon Boat Festival on Saturday. Teams were sponsored by various businesses and organizations. A water festival is the Southeast Asian version of New Year’s that salutes the water gods for irrigating the rice fields. The dragon boat races honor the ancient tradition of using dragon boats for nautical activities. While most paddlers were stepping into the boat for the first time, participant Connie Hang was born into it. Twelve local corporations sponsored teams to compete in three rounds for the grand-prize trophy. However, to many paddlers, the race meant more than winning and losing. Despite none of its members having any dragon boat experience, the Sugar House Casino Sugar Dragons team gambled its chances in order to strum up some good will. Thuiy Tran designed the emblem that adorned each team’s shirts. 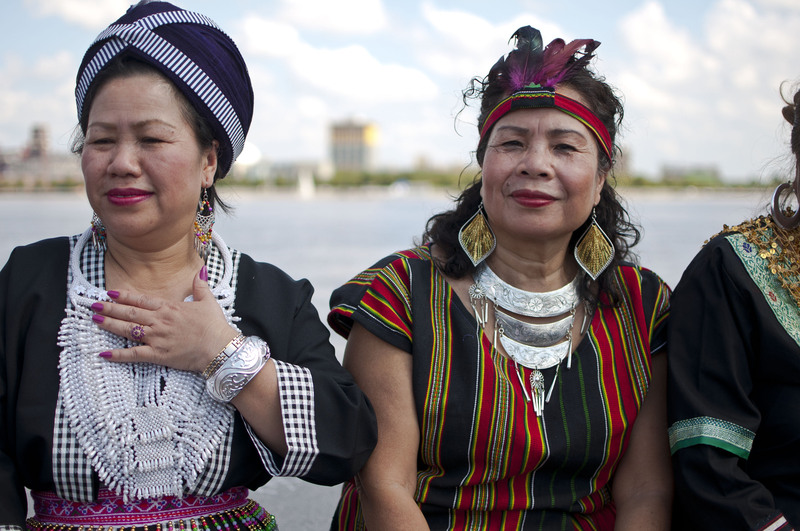 JACOB COLON TTN Women dressed in traditional Laotian garb watch competitors at Penn’s Landing on Saturday. The festival, part of PECO’s multicultural series, celebrated the cultures of Southeast Asia. Although Bare Soumgit has lived in America for eight years, walking through the festival made him feel back at home in Cambodia. In addition to the racing, the festival featured food, games and live entertainment. Traditional Asian cuisine such as teriyaki chicken, palau and lo mein noodles were served to the delight of visitors. Sovan Sao tasted defeat in a mixed martial arts demonstration on the stage. Conveniently, Sept. 10 was also Pennsylvania Coast Day, so vendors were organized with crafts, face painting and Baggo for some family fun. Once the crowd started filing out, Puth wiped the sweat from his forehead.